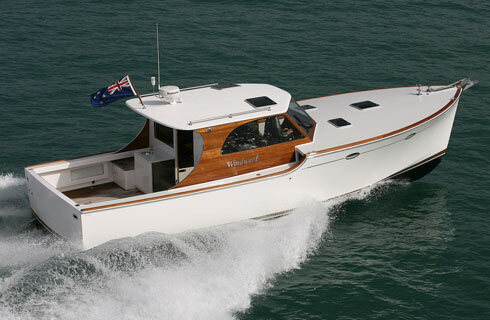 Designed in-house, the Southstar37 is Salthouse Boatbuilders' flagship powerboat. 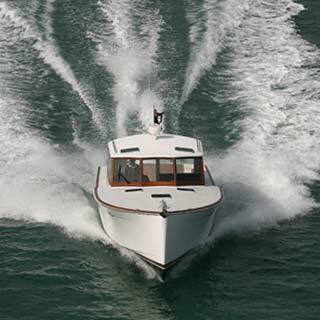 Although the Southstar37 has classic lines that capture the elegance of a previous era it is every bit a modern boat from the construction and layout, to the performance. It has been an unexpected 'byproduct' of design evolution and a result of fulfilling owner requests, but it turns out the Southstar37 have a flexibility in powering that far outreaches original plans. 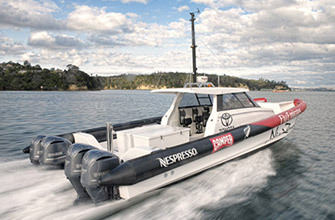 The first three Southstar37 sport a Yanmar diesel shaft drive, the fourth cleverly conceals the Yamaha 350V8 outboard, number five is now impressing her new owners with the maneuverability and power of the Jet Engine and the latest will be driven by a Volvo diesel with stern-leg. For the Southstar37, this flexibility does not end with what powers the clean lines, but continues in the interior layout on each boat. None of the existing Southstar37 are alike inside. 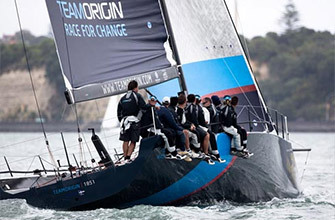 Each has been tailored to meet their owner's requirements. 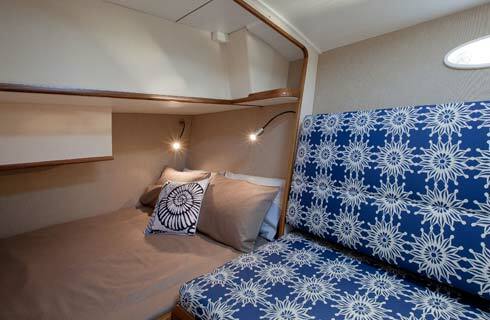 Comfortably sleeping up to six in the two forward cabins, the main saloon and galley can be entirely opened to the generous cockpit. This gives a feeling of space not often found on a boat of this size. 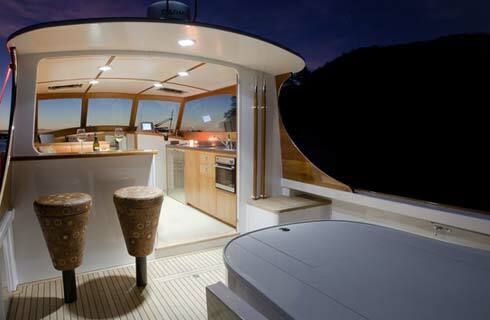 Variations including a cockpit bar, and drop down transom also create ideal space for socializing and outdoor activities. 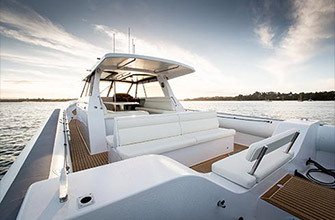 The Southstar37 is a powerboat borne of a desire to get away from overcomplicated systems and enjoy the pleasures of boating and the outdoors. 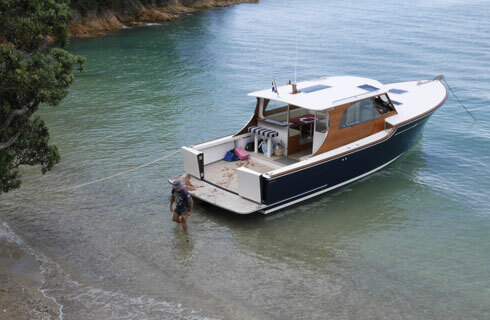 "New designs can be over complicated that owners spend their time worrying about unnecessary details," says Greg Salthouse of Salthouse Boatbuilders. 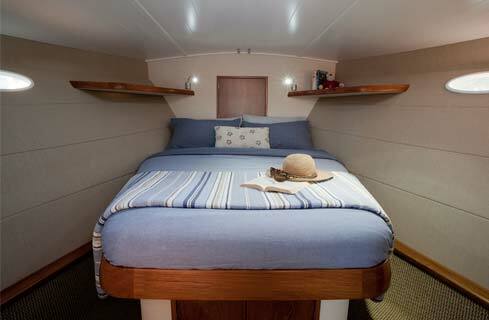 "With the Southstar37 we have focused on the fundamentals of inspirational yet practical onboard living." 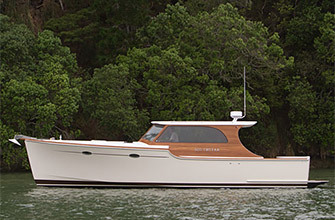 The Southstar37s are a timeless but eye-catching design, combining high-tech composite construction with varnished timber and classic lines. 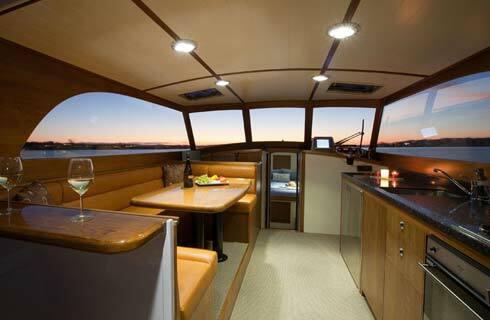 They offer excellent interior volume that gives spacious living for couples and their guests, or for a family. The layout encourages easy, relaxed socializing, with flexible spaces, and excellent visibility. 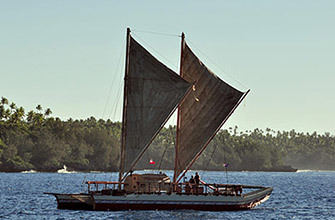 The underwater shape makes for comfortable and safe passage making at speeds of up to 30 knots, with a proven reputation as a solid sea-boat in adverse conditions. 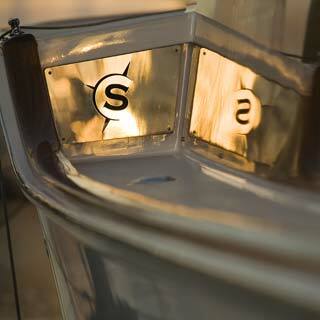 Salthouse Boatbuilders are understandably proud of their creation. 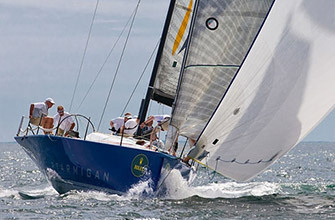 Boats have been sold to New Zealand and European owners, including former Rolex World Yachtsman of the year, Mike Sanderson. 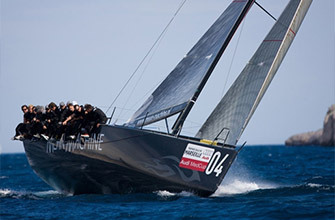 The fourth boat, named Southstar, is now available as a showboat for viewing, and bespoke versions can be built. 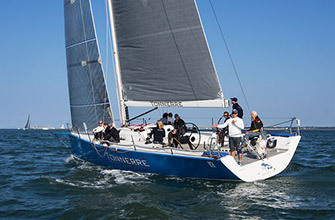 “The first time we set eyes on a Southstar37 was at the 2006 Boatshow. Aesthetically , we fell in love from the moment we caught glimpse of her. We had always had a passion for the classic clean lines of a ‘Lobster Style’ designed boat and a love for crafted wood, this vessel was a shining example of both. We took the brochure away and I pinned it to the office wall. 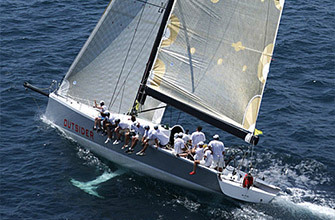 A few years later and we ventured to another boatshow in anticipation of seeing the latest Southstar37. 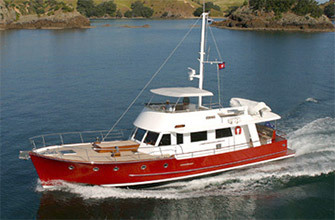 The internal layout and overall space achieved with the outboard option was significant, the combination of leather and teak interior was jaw dropping and to now have access to two double beds, two single bunks and a further double as an option with lowering dining table was truly impressive for a 12m vessel. 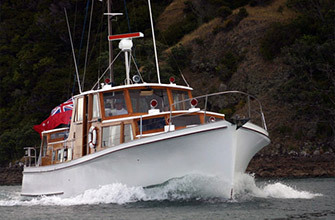 Our dealings with Greg and Delayne of Salthouse Boatbuilders have been wonderful – working a family business ourselves, and the steep family history of Salthouse Boatbuilders , there was synergy from the outset and the transition to form an ownership was fun, exciting and smooth and our dream finally realised. 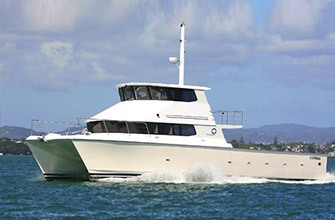 Our first 8 months experience with Southstar has been a wonderful learning curve and adventure – exploring the Hauraki Gulf as a family in her comforts has given us such a wonderful appreciation for this lifestyle, and to see our young children thrive on board with new adventures and friendships made has been a real highlight for us to watch, we feel very privileged. Only last week a lovely gentleman passed comment on her appearance. "Reminds me of a magnificent Grand Piano" he said . " 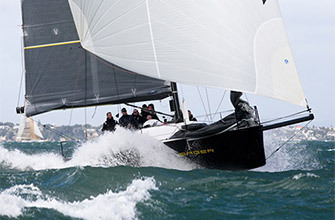 Thank you", I replied, ... "and finely tuned"
Download our brochure and for more information on boat specs and pricing, we welcome your enquiry.